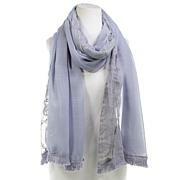 Beautiful print, vibrant colors, luxuriously soft cloth. 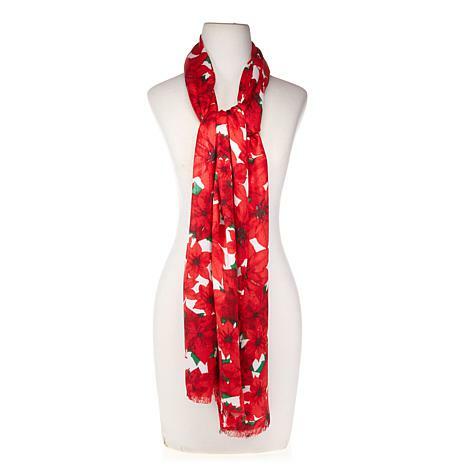 What's especially fabulous about this scrumptious scarf is that the poinsettia print doesn't read "holiday," so it won't limit you to a season. 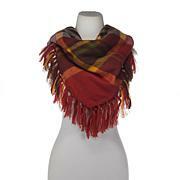 It's an accessory you'll wear for a pop of red during any chilly month. 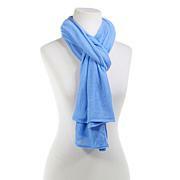 Very pretty scarf with vivid colors! Dry clean only. This is such a pretty scarf, much better in person.